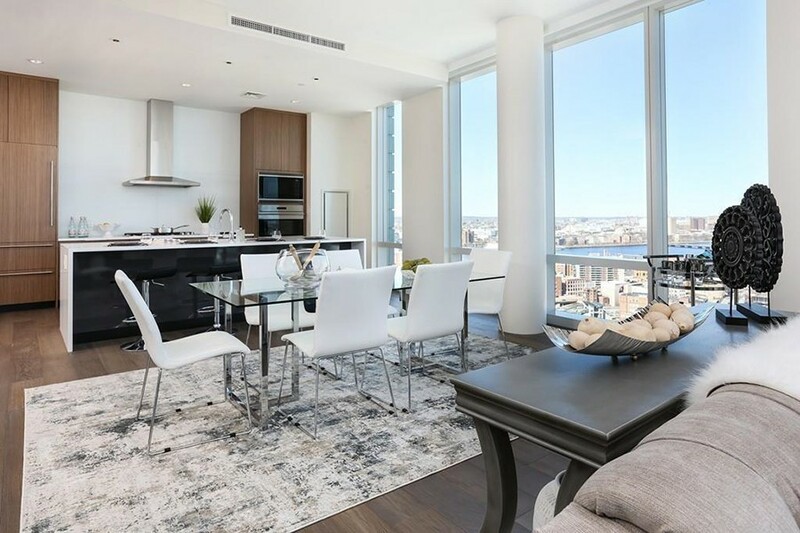 There’s never a shortage of stunning new homes for sale inside Millennium Tower. 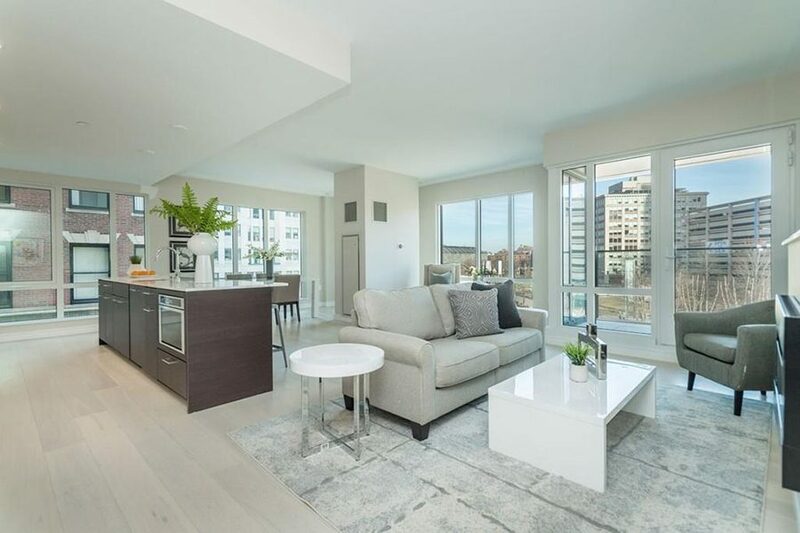 This two-bedroom has a lot going for it, but what steals the show is the dining table positioned in front of floor-to-ceiling windows. Dinner with a view. 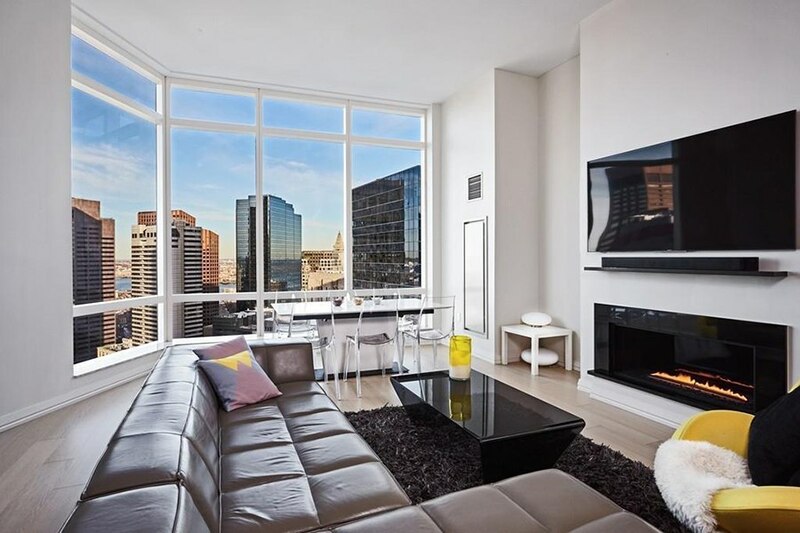 Directly overlooking the Greenway, this one-bedroom condo is anchored by a huge kitchen island that separates the living and dining areas. A small fireplace warms the open-concept abode. Living in the Fenway’s Pierce building means enjoying some of the best views in town. 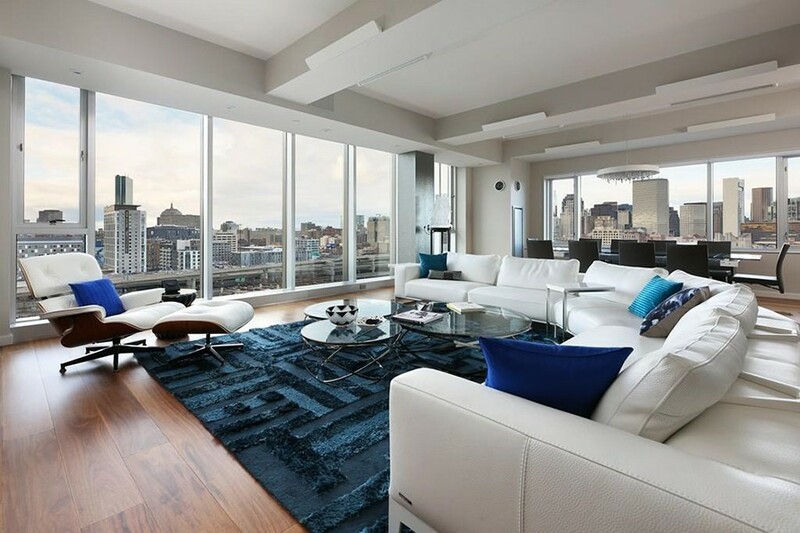 The windows in this unit frame a panorama from the Pru to the Charles and beyond. 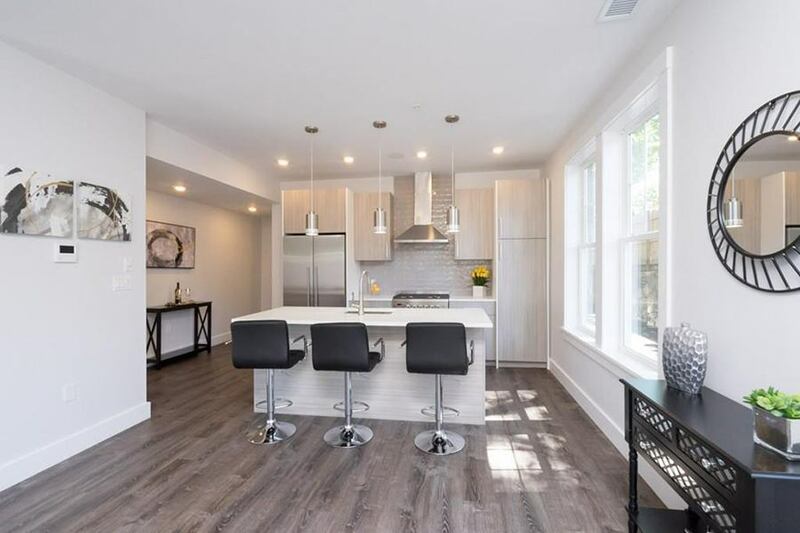 Unlike some of Roxbury’s newest developments, this 2017 condo complex flaunts a bit of architectural character. This unit for sale within it boasts a surround sound system and an intercom with video capability.